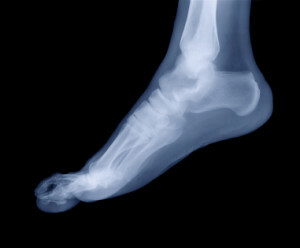 An orthotic device is a special type of insole which is usually worn inside footwear. It is designed to relieve foot, ankle, leg and low back pain by controlling unstable foot joints or by relieving excessively stressed structure of the foot. An orthotic or orthoses can range from basic off-the-shelf arch support to custom-made devices. A true custom-made foot orthotic device is made from raw materials and applied to a precise 3-dimensional positive model of the patient’s foot. Materials used may vary depending on the condition being treated. The orthotic may be made from rigid, semi-rigid or soft thermoplastic materials. Most workplace healthcare benefits cover part of the cost of orthoses. Please bring a health practitioner (MD or other) prescription for “custom-made foot orthoses” and the condition requiring pedorthic care to your first appointment. Read more about Dr. Jean-Francois Gauthier, Pedorthist.